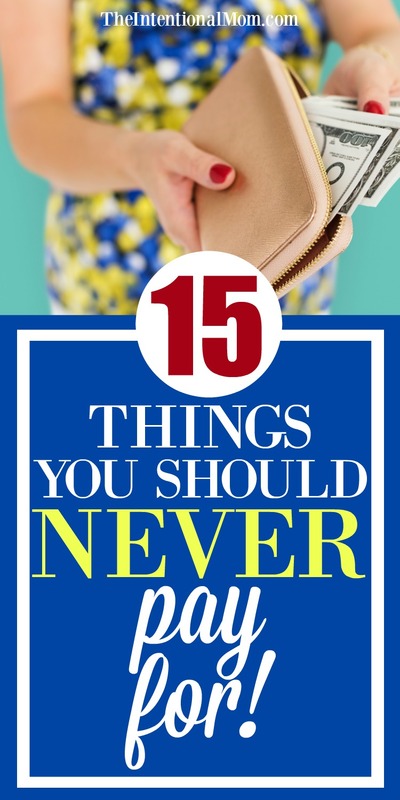 15 Things You Should NEVER Pay For! Did you know there are certain things that I never pay for? There are so many things that we can spend our money on. But, you still have to make the budget work. For this reason, I have discovered little things that can add up to make s huge difference. One of these things are certain material goods that I never pay for. This could be because I can get them for free or because they are things that just aren’t wise from a financial standpoint. Before you read any further, take the time to sign up for my FREE 5 Day Budget Bootcamp. A working budget is the FIRST step to making sure you’re not paying for things you shouldn’t be. Enter your email below to get started right away! If you are needing to stretch the family dollar as I do, these are things that frugal people just don’t pay for! To start, let’s talk about various things around the house. These are all things that I’ve gotten for free and then stock up on when I am combining sales and coupons at the drugstores. You can read more about how that works in Frugal Drugstore Treasures and How You Can Score Big at the Drugstores. I am all about using paper plates, I will admit it. Although I could save money by only using dishes, I’ve got seven kids home for all three meals, which means that we go through an astronomical amount of dishes. When it comes to cups, however, I don’t pay for paper cups for the never ending stream of drinks that my kids seem to need. Each person has a big plastic cup or water bottle. Then, this is what they use. If we used paper cups for every little drink, I can only imagine what that would do to our budget. Although these are much more convenient than what I use, these are so costly over time, even when getting them at a great price. For the trash in my house, which is also plentiful with a family of ten, I use a plastic trash can. Then, I use either the paper or the plastic bags you get at the grocery store or the drug store to line my trash can with. These are free, which means that I am saving a ton of money on things that I am literally throwing away anyway. Pro tip: Avoiding spending money on all these little things is the first step toward keeping more of your hard-earned money if your pocket. 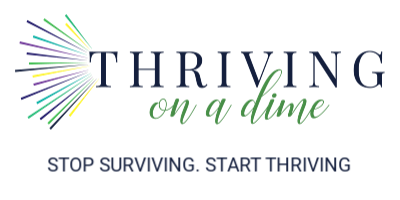 I teach members everything I’ve learned about saving money in uncommon ways over in my money saving membership community. You can save $250 or more in just the first month, which is why I let you try the first month free! The only exception would be if you have well water that is so bad that it can’t even be made drinkable with a water softener system. I have city water, which is so much more economical than bottled water. Bottled water is simply a convenience item. In general, I don’t have the room in my budget to pay for convenience no matter what it is. I love my Keurig, I have this one, Keurig K45 Elite Brewing System, Black and my greatest investment was in this latte maker. Mr. Coffee BVMC-EL1 Cafe Latte I LOVE it…and so does my oldest. With just some coffee, some milk, and one of these syrups,Torani Syrup, Vanilla, 25.4 Ounce (Pack of 4) , I’ve got something that tastes like it was made by a real barista. After all, who doesn’t want to be their very own barista, anyway? That’s such a cool word! There certainly are times when you need an expert. But with access to the Internet and YouTube videos, I have discovered that there are so many things that I can take care of myself. So often the most annoying little things can be fixed so simply. When you have something that makes you want to call for a professional, try this first. Google your problem first. Spend some time researching to see if you can actually do it on your own. You can read how we saved more than $1,000 in a year by doing our own washer and then dryer repair. Not only do you pay a flat service fee and for the professional’s time, you are almost always going to be paying double the price for any parts that you may need. Whether it is home or renters insurance, car insurance, or even health insurance, when you have options and choices, never opt for the high premium options. Don’t be lured into the smaller numbers that the higher premiums will bring you. More times than not, you are paying much more in the long run for those attractive co-pay or out of pocket numbers than you would ever pay if you were to actually need to use this insurance. Your money will serve you better if you were to put the amount that you would be paying for these higher premiums into an emergency fund to draw out of if you do have an accident or an issue with your healthcare. Chances are, you just won’t have a car accident that will be so costly that those higher premiums and lower deductible amounts will pay off. Extended warranties are simply not necessary. This is true even if they are cheap! Usually you will be paying for something you will never even use. Extended warranties are usually enticing, but just don’t fall for them. Whether it is late fees on a bill, late fees on something you’ve rented, or late fees at the library, return things on time to avoid paying fees. These fees are usually minimal. But, as with anything else, they do add up. This is especially if you are a regular offender. I spoke of this in 18 Things We Did to Become Debt-Free Before Age 42, but other than interest on your mortgage, you should avoid paying interest at all costs. Let’s face it, we can have the best of intentions, and at times we lack the follow thru. Things like gym memberships, warehouse club memberships, or Weight Watchers and other membership clubs, if you are not using them enough to warrant paying for them, don’t pay for them. It’s better to admit that we made a poor decision, fell for a scheme of some kind, or just didn’t make something a priority than it is to continue paying for something simply because we “might” use it someday. You can get free movies for your local library, you can stream movies for free if you have something like Amazon Prime because you cut out cable like we have, and you can also get free Redbox codes on a regular basis by watching the deal sites like Money Saving Mom. Take advantage of getting free movies rather than paying for them. Today, September 3, 2015, I shared a code from Money Saving Mom on Twitter. You can follow me on Twitter here, but in case you missed it, you can text HEB to 727272 to get a unique code for a free one-night Redbox DVD rental. I do often share deals on Twitter if that interests you. Did you know that you don’t have to pay for many of your favorite magazines either? 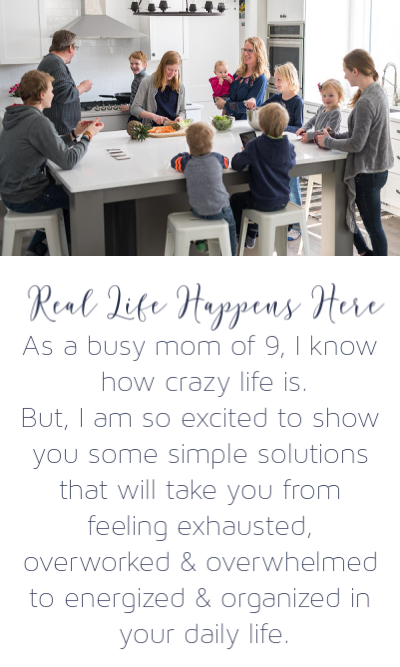 This is another reason I like reading Money Saving Mom or Hip2Save. There are many companies that give free magazines, no strings attached. What does this mean? This is simple, really, but it is not to be overlooked. Are you a pleasant, respectful, polite, and generous person? If you are, chances are that when you need a little favor at times, you will find someone you already know who is willing to lend you their expertise at no charge. Now this doesn’t happen all the time and it is certainly not to be expected, but if you are mindful of building a good rapport with the people you interact with on a daily basis, it is always a good thing. If you are a pleasant person to be with and to deal with, you will get much further in life than you will being a demanding, difficult, or downright rude person. While there are times that upgrades are unavoidable, there are numerous times that we fall for upgrading something when the more basic or free version would do us just fine. I always start out with the basic or free version of things to see how it goes. Many more times than not, I am so thankful I did. Upgrades are made to look pretty, whoever is trying to “sell” you something wants you to upgrade, but they are rarely needed. When it comes to being frugal, it’s as much about knowing what not to pay for as it is knowing what to buy. Keep this list handy to make sure you know! Ready to have more money, starting today? Just go HERE to join…an entire community of money saving members are waiting for you! « Are Your Kids Truly Healthy? Make Sure You’re Not Missing This! Nice ideas! I’m always trying to find ways to be more frugal with my family of 5. I definitely use the store bags for my trash bags for the bathroom garbage cans, but in the kitchen. Hi! Every little bit helps, don’t you think?! I use the bags inside cereal boxes for sandwiches and inside waste paper baskets. $$$ saved. awesome tip!!! Thanks for sharing! The coffee is challenging. However, you’re right. My husband & I are both from huge families, so I get how many dishes you go through, but disposable cups & plates cost so much more, both out of pocket & where our planet is concerned. 9 kids means there are more than enough children who are old enough to wash dishes by hand or run a dishwasher. One cup a day per person will cut down on the amount of dirtied cups a day, also. Please rethink using those awful disposable products- the energy & resources needed to produce those items, package them, ship them, & dispose of them (not to mention the pollution) is anything but frugal. I understand Coco’s point. It’s not just about the $0.02 per plate it’s about the unnecessary impact that puts on the planet (1) to produce the plate and (2) to dispose of the plate. If everyone had a plate to keep track of just like their plastic cup you would be teaching your kids the valuable lesson of resources…since we don’t have an infinite amount on them on this planet. Excuse me, 7 children but a family of 9*. Another way you could really save money is by lessening your garbage. We produce hardly any garbage because we recycle and compost practicly everything. That just leaves us with about 1 large garbage bag a month. I know you have a huge family but think about how much you could save on your garbage bill. Also, I agree with Coco, paper plates are aweful for the environment even if you do just use them for 1 meal. Using paper plates seems like the opposite of frugal, no matter how you justify it. You are so right. Recycling is huge in our family as well! Thanks for sharing! Yep sounds about right! we are very frugal. It takes time to get a bag of tricks, doesn’t it? Great list! You can also check out magazines from your local library if you feel so inclined. We also don’t buy garbage bags, but use the plastic bags from the grocery store. However, in Canada you have to pay five cents for every plastic bag you get from the store. We use the reusable cloth bags for shopping and only get plastic bags when we know we need some for the garbage. There are certain stores here where we have to pay for them. We use the cloth bags there, too! You can also get free magazines from Recycle Bank. All you have to do is take quizzes and earn points, which you can use to get free magazine supscriptions. I have done this and I have received several magazines with no strings attached. Thank you , yes very wise choices ? Hi Jennifer! As other readers have noted, you are making some frugal choices that are not great for the environment. I am not writing to be judgmental, but to suggest some alternatives. Reducing your trash would be a good project/lesson for your children. So many things could be recycled. Keurig cups are such an environmental problem that the inventor, John Sylvan, has said he wishes he had never invented them. I hope people are using the re-usable cups, but I doubt it. Like you, I am concerned about bottled water use. What is sometimes overlooked is the lack of fluoride in that water, which I believe is important for child tooth development. Where I live, we pay a deposit on water bottles so that’s an easy one. It’s all food for thought. Yes, those reusable k-cups are great and a huge savings, too. That’s pretty much all I use, it makes coffee so much more affordable. Flouride is one of those things is often overlooked, yet I’ve also had people write in and say that fluoride in the water is harmful as well. It is so important for everyone to do their homework and decide where the truth lies on so many issues. Thanks for the tips! Sorry but I have to disagree on the insurance. I have had two very unfortunate experiences in the past 4 years of being the innocent party in car accidents in Texas. Texas has horrible required liability limits. We choose to carry higher that minimum Uninsured/Underinsured policies on our auto. The first guy was completely uninsured. The 2nd carried the minimum. My husbands medical bills exceeded him minimum liability amounts. Insurance is an important part of your financial security. Unless you are debt free with a couple hundred thousand in the bank you need insurance. Oh yes! My recommendation is not that people NOT have insurance, just that they choose higher deductibles in order to keep the payments lower. Everyone should have insurance, unless like you say, they have a ton of money to cover whatever may happen. Insurancr, like daycare (for those that work outside the home) is one thing you do not skimp on. Four days in the ICU following a car collision – not our fault – and I was very thankful for my comprehensive insurance plan. I completely agree. Don’t skimp on insurance. My only suggestion is to set deductibles higher to keep premiums lower. Insurance itself is certainly a necessity. I just received a Kurig coffee maker for Christmas and apparently now the new K – cups are recycleable! I did also get the reusable K – cup, which I used with my other Kurig type coffee maker that bit it in our big earthquake! It’s a lot more of an affordable way to go also! Yes! Every little bit adds up, especially when it comes to savings! Hi Jennifer, I enjoyed reading your post. Thanks for all the tips. There was just one thing I would really wish you could reconsider, that’s using the plastic paper plates and cups .. I grew up in a house of 10 and trust me I know how hard washing dishes can be. There is just so much trash in our world and so many animals are getting hurt by all the plastic we use. Just do a simple search and you’ll see the results are devastating.. I’m only asking you to think about it I’m sure you’re thinking I’m crazy but maybe the kids can do the dishes, every one gets a day of the week so they just wash once a week at least help once. Hi Lindsey. That’s a great point. Luckily, paper cups are actually one of the things I say that I don’t pay for in the post. Thankfully, we do burn our paper plates in our fire pit. And you’re right about kids doing dishes. I think it’s been 10 years since I’ve done any 🙂 Thanks for commenting! I enjoyed reading these tips and comments. Allow me to tell you how I saved money over 20 years ago with 4 kids and a husband. I assigned each kid a color (that they liked). For example, the eldest girl had green. Then I issued each kid a set of items in their own color: The eldest daughter had a green toothbrush, a green bath towel and washcloth, a green cup and green plate, green hairbrush and comb, etc. Each kid was given the task of taking care of their items, although they were of different ages. For example, if the eldest daughter didn’t get her green towel and washcloth into the hamper on wash day, she was out of luck until the next wash. This was true for any nothing used…WE had a “towel” day where bed linens and bath linens were washed. Another day was “white’ day, for washing white clothes, and we had a “everything” wash day, too. E also had a colored toy basket (plastic laundry basket) that they were responsible for. If a toy was left not put away at night, they had to wait until a specified day (usually once every 2 months) to get it back. The toy baskets came in handy when we went camping, too. Each kid almohad a specific chore each week, which would rotate between them. The older kids also had a responsibility of making dinner on weekends (with my help). I hoe this gives some of you with several kids some ideas. My kids are all grown now, and all have thanked me many times for teaching them responsibility and how to take are of things. I LOVE this idea!! My 5 kids go through waaaay too many dishes and towels! This will make them more responsible and aware!! TY! Plastic bags are no longer “free in California ” they are 10 cents a bag! Shoot! There are certain stores here that require you to pay for them, but there are still plenty that have them for free. Maybe times will change here, too, but I sure hope not! We don’t buy any garbage bags either. We recycle and compost heavily and have eliminated most disposable items. Items that have to be disposable (like dental floss and kitty litter) we get biodegradable compostable versions. The little bit of trash that we have can pretty much go in anything. The funny thing is that even though I only use cloth bags while shopping, I’m never short on bags to use for garbage. Bread bags, bags from apples or potatoes, kitty litter bags, etc. can all hold garbage. I disagree with your comment saying well water cant be made healthy. We have a water softener and house filter. I would rather drink that then city water which has chemicals added. I completely agree. My only point as stated was that if you have well water that can’t be made drinkable you may be left having to purchase bottled water. Some things I would like to add. I never buy fabric softener as I am allergic, and have a can of anti static cling spray for the odd time that something clings. Also, I never use paper towels (rags can be washed and used again) and napkins are extras I bring home from restaurants. I drink tap water in a reusable water bottle, with the luxury of a slice of lemon inside, and I carry it with me everywhere, so no need to be buying drinks when you get thirsty away from home. I make my dogs food and save big on that, with marked down meat from the grocery store, brown rice, and sweet potato:) So many ways to save:) and no cell phone for me, the high costs and dependence on them is a no brainer. great tips! No paper towels here either! I somewhat agree on doing house repairs yourself. A washer and dryer, ok, no problem. My hubby has fixed many in his lifetime. But if you are talking about something crucial to your home like gutters and downspouts, roofing, replacing a furnace or anything like that, than whatever you do get a professional who knows what they are doing. By not getting the right person for the job will end up costing you more time and money in the long. definitely. Need to do your research first. My suggestion is to at least investigate a bit before just picking up the phone to call.